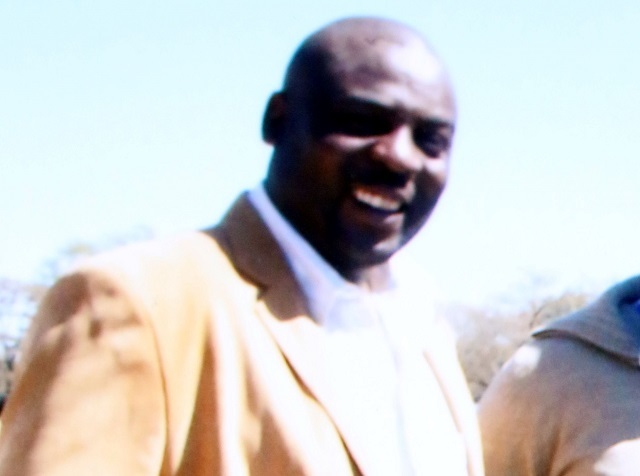 Fun time with friends ended in tragedy for “Bongo” Ndlovu after he was killed allegedly during a fight outside a popular nightclub in Bulawayo. The incident is reported to have happened outside the newly opened Zarah Lounge just before midnight. The suspects, Andrew Ndebele, Adrian Mguni, Thamsanqa Mlalazi and Mhlanguli Mguni have since been arrested for murder. It seems there are many versions of what really transpired. According to Zarah Lounge proprietor Mr Phathisani Nkomo, group of four men walked into Zarah Lounge and after a few minutes started a fight with a patron over an undisclosed issue. “Our security team quickly moved in and quelled the situation at the same time ejecting the four men out of Zarah Lounge. When they were outside, they met Bongo who tried to reprimand the crew. A fight broke out between him and one of them. “One of the crew who was behind Bongo punched him on the side of his head leading to Bongo falling and hitting his head on the ground,” said Mr Nkomo. He said club bouncers immediately apprehended Ndlovu’s assailants while waiting for an ambulance and police to attend the scene. “There was a shortage of ambulances on the day as they were reportedly attending to many accidents around the city. After Bongo regained consciousness, his friends who had come out took him to United Bulawayo hospitals for treatment. However, I’m told that he was supposed to get a letter from the police for them to treat him causing another delay. I was shocked to hear that he died in the early hours of the morning,” said Mr Nkomo. He said the four assailants were extremely violent and uncontrollable. “Even when the police came to arrest them, they had a torrid time. The four attacked the two policemen who had been sent and it was difficult for us to restrain them. They didn’t show any remorse and were saying they didn’t care if Bongo died,” said Mr Nkomo. Bulawayo police spokesperson Inspector Precious Simango confirmed the incident. “The deceased and the accused were drinking when an argument ensued which degenerated into a fist fight. The four teamed up to assault Bongani Ndlovu who managed to escape in the company of a security guard and headed for Bulawayo Central Police Station to make a report but before he got there, he fell down and became unconscious. An ambulance was summoned but he was pronounced dead upon arrival at the United Bulawayo Hospitals,” said Insp Simango. She urged members of the public not to solve disagreements through fights but instead dialogue to avoid unnecessary loss of life. “People should find other ways to solving differences rather than resorting to violence,” Insp Simango said. “As a family we have lost our brother popularly known as Bongo. He was a businessman and transporter. The finer details of what happened on the night will be revealed as the police are still investigating,” he said.